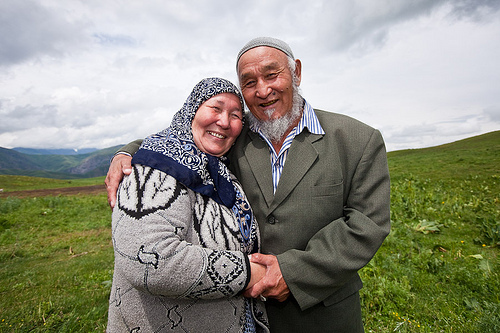 With some hard work, your marriage can be one that lasts long into your golden years inshallah. News flash ladies: All of these feelings are normal! What is not so great is that we are so used to instant gratification in our culture that the minute things get tough, we are all ready to walk away. I don’t know if this is because we are used to everything being disposable now. I remember how when we bought a television, that television was anticipated to LAST forever (or at least a decade or so). Now, if you keep your television longer than five years, people think you are crazy. Even with clothes, we are so used to just throwing away clothes that rip or tear versus trying to mend them and wear them longer. I have friends who have made fun of me for taking my battle worn flats to the cobbler a few times because I did not want to throw them away. It seems that disposable culture is seeping into our personal lives too. We are so quick to throw away friendships, marriages, and even blood relations. Focus On What Made You Fall In Love: Was it your spouse’s smile that made you start caring? Was it the easy way you can talk to your spouse about anything? Was it the way your spouse gently wakes you up for fajr? Retrain your mind to see those qualities first. It makes it a lot easier to let go of the things that annoy you. Realize That Some Things Won’t Change: If those annoyances are recurring things, it is highly probable that those things are not going to change. So instead of forcing your spouse to conform to your needs and desires, try to overlook these things. It will save you a lot of fighting and stress. Focus On You: Sometimes you may be overworked and your spouse inadvertently gets the brunt of your stress! let your spouse know if you need a break for some “me time.” Chances are your spouse will work with you to keep you happy too. For me, I have to work out and I need time to blog. So my Hubster always makes sure to take care of the baby while I do that. When I come back from whatever it was I was doing, I always feel happier and more likely to share the love all around. That saying “When Mama is Happy, Everyone Is Happy” is totally true in our house! As salamu alaikum. Great post! In sha Allah, will do sis.